On April 25, 2018 Merry Maids we celebrated our 33rd Anniversary doing business in Chattanooga, TN. The Company was started in Chattanooga on April 25, 1986 by Bill Bowers, who is still the current owner. Merry Maids has won many service awards and has maintained the A plus rating with the BBB. 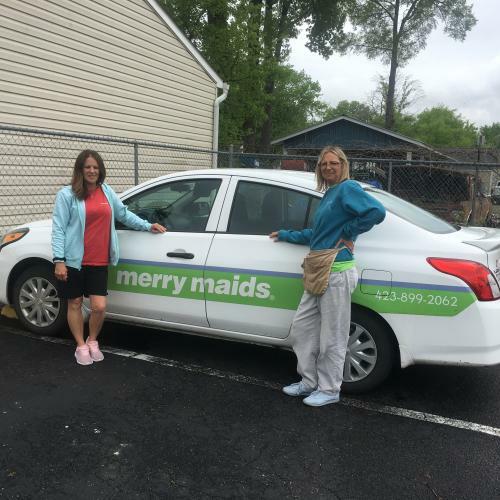 Merry Maids is a family oriented operation and supports several charitable organizations such as Samaritans purse and St. Judes. We are very proud of our employees. Some have over 20 years work experience with the company. We have some of the most loyal customers around and we appreciate them so much, especially our senior citizens. Thank you! It has always been our goal to do our best for our crew members and our customers and it will always be that way at Merry Maids. Chattanooga and surrounding areas is an exciting place to do business and we are happy to be a part of it. Thank you again Chattanooga. We love you!